Educational needs vary but typically include registration (often for split families), student skills and grades tracking over a period of time, teacher assignments and more. FileMaker's new WebDirect feature adds the potential of families entering special notes in their child’s record, for example that their homework assignment has been received and attempted as well as any other special notes. From an administration standpoint, FileMaker can automatically send out individual emails to each parent with notes (entered in the database) describing their child’s progress or inviting them to review their child’s grades online. FileMaker security allows a family access to only their record, and can restrict their ability to modify any records unless specifically allowed by design. St. Joseph Notre Dame High School uses a FileMaker database to track student registrants. It also uses the database to calculate an overall ranking for each student based on academic achievement, High School Placement Testing, CoCirricular ranking and a spirituality. The calculation allowed administrators to resort the rankings by adding individual score contributions or aggregate contribution. 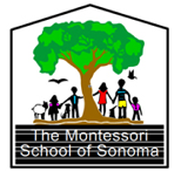 The Montessori School of Sonoma runs it enrollment and registration using a custom-designed FileMaker database. Lee will now explain the one or two challenges he faced with this design. Maybe it was picking the best restaurant to take the Principal to lunch? 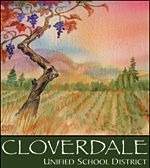 Cloverdale School District, including Jefferson Elementary School, required a means for teachers and administrators to submit equipment repair requests to their IT department and then track the estimated time for repair. FileMaker provided the perfect solution. The central database would keep records of equipment, assigned to which person, location, and reported trouble. The Instant Web Publishing feature allowed teachers and administrators to enter their requests and track progress without the need for FileMaker on their school computer.